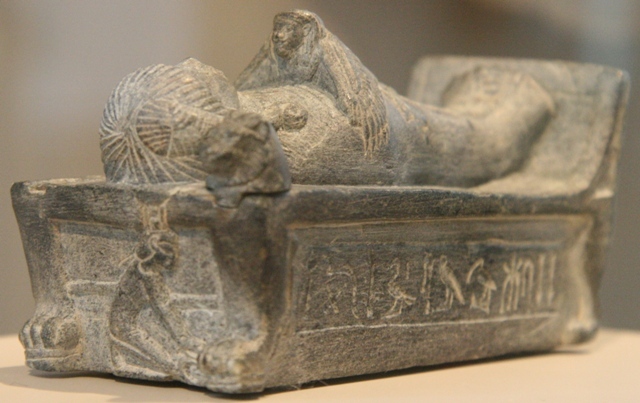 The Hair gives the Breath of Life in Ancient Egypt. In Abaton, where Isis and Nephtys moan, is also where “Osiris receives the crying from your mouth and his soul breaths thanks to the weeping”. The breathing is essential for living and also for rebirth; according to what we have read, that breath can be transmitted by means of mourning. There is a chapter of the Coffin Texts where the deceased’s breath is assured thanks to different aspects of hair, we read how the dead “…breathes the east wind through her plait, he catch the north wind through her plait, he takes the south wind through his plaits, he takes the west wind through his curls (or his plaits)…” . Thanks to the hair element the dead /Osiris can breathe the wind from the four cardinal points, in the same way that he could breathe in Abaton thanks to the weeping. Again hair and mourning are two inseparable aspects and once again this union hair-mourning-breath sends us to the Osiris Myth. Isis as a kite moved her wings over the corpse of Osiris made the air for causing his resurrection. 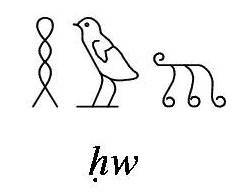 On the other hand it is also interesting to have a look on the word hw, which indicates a movement made by the feathers and whose writing in hieroglyphs was with the determinative of the hair; also words as “feather” or “wings” in some cases could be written with the determinative of hair. So, the union feather-kite-air seems to be very close to the union hair-mourning-breath; it would not be hare-brained to think then in a relationship between the kite’s feather (in the mythical dimension) and the mourner’s hair (in the ritual dimension), both elements making the breath of life. In some coffins we read “eyebrow”. CT III, 228. A very similar passage is in Book of the Dead (LdM 172).